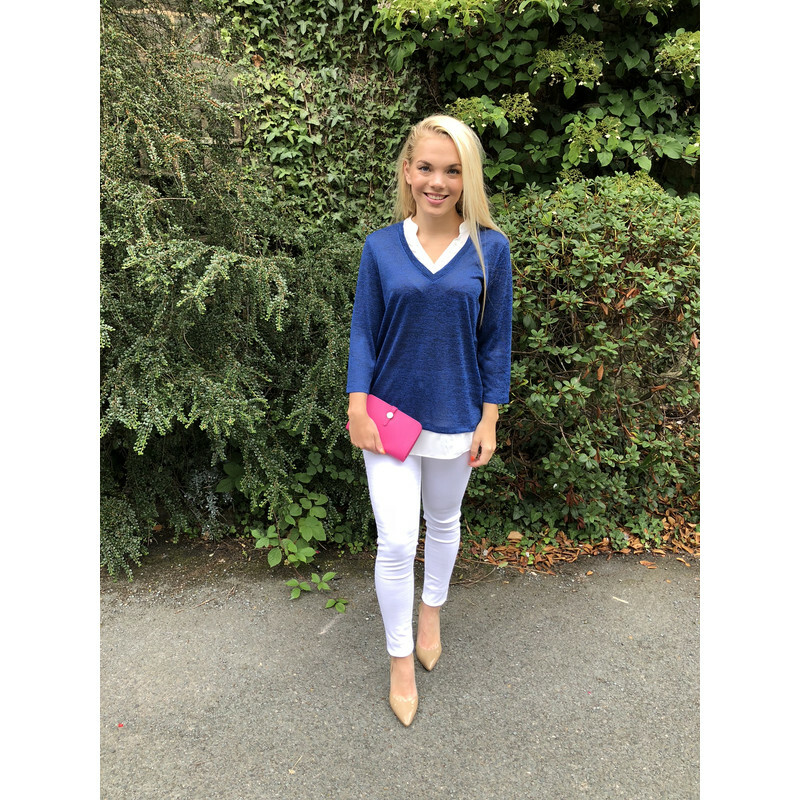 Pirexa Top from Fransa is a lightweight V neck jumper with underlay shirt detail at the collar and hem. It has 3/4 sleeves, it would look perfect with jeans. Wash at 30 degrees. Do not tumble dry. UK Royal Mail Standard Delivery £1.99. Size out of stock? No problem! You do not have any recently viewed items. Very happy with the fast service, I know being in United States it might take a while before they got to me. They were here much sooner than I thought! Love the pants! Will make a great addition to my wardrobe! Will use Lucy Cobb Ltd again! Excellent service and speedy delivery. Love the way it was packaged and the cheap delivery charges. Excellent communication on updates on my order. Hi I bought the Bonnie Bardot frill top in blush pink it arrives after the Easter holiday and it is lovely thankyou Lucy cobb . Lucy Cobb will use your email to send you our latest products, promotions & collections.